KZN Department of Cooperative Governance and Traditional Affairs (Cogta) has exercised its constitutional prerogative to directly intervene in the governance and management of Mtubatuba and Richmond local municipalities. It is for the first time that a direct intervention in terms of section 139(1)b of the constitution has been implemented in two municipalities in a single day. “These interventions mean that the Provincial Government will take over the executive functions of these two municipalities temporarily to restore them to full functionality. This is a measure of last resort and we have decided to intervene at Mtubatuba and Richmond after all other attempts at support had failed,” said KZN MEC for Cogta Nomusa Dube-Ncube. Despite Cogta’s continuous and intensive support, the Mtubatuba Council and administration had struggled to rescue the municipality from financial distress, governance and organisational challenges which have negatively impacted service delivery. 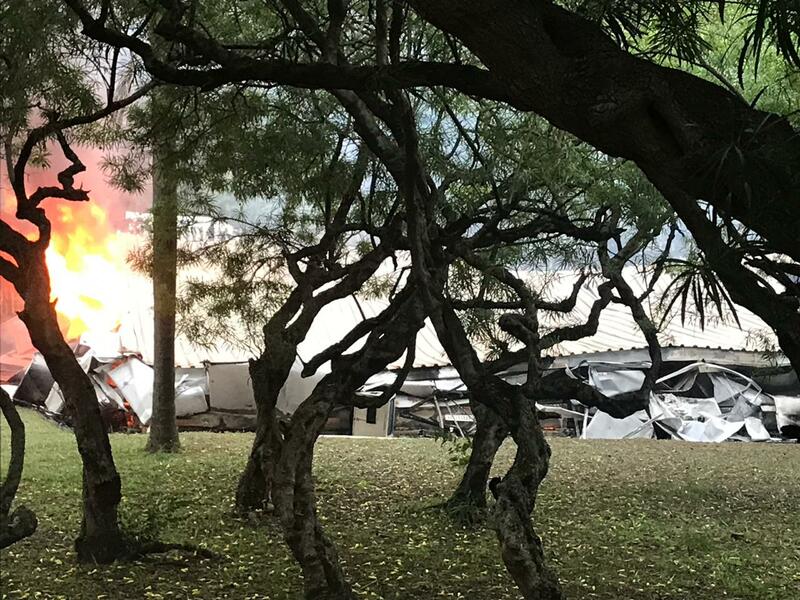 Mtubatuba has a history of instability, political infighting and public protests. The department had instituted similar interventions at Mtubatuba in the past. “This time, our intervention is in response to Mtubatuba Council’s inability to meet repeatedly due to a lack of quorum and the municipality’s failure to adopt the annual report, including the annual financial statements, audit report and audit response plan. Mtubatuba’s reckless spending now also indicates that the municipality will soon not have sufficient money to fund its operations,” said Dube-Ncube. KZN Cogta is also concerned about Mtubatuba’s notable failure to effectively deal with the long outstanding proliferation of refuse matter, particularly in the towns of Mtubatuba and St Lucia. 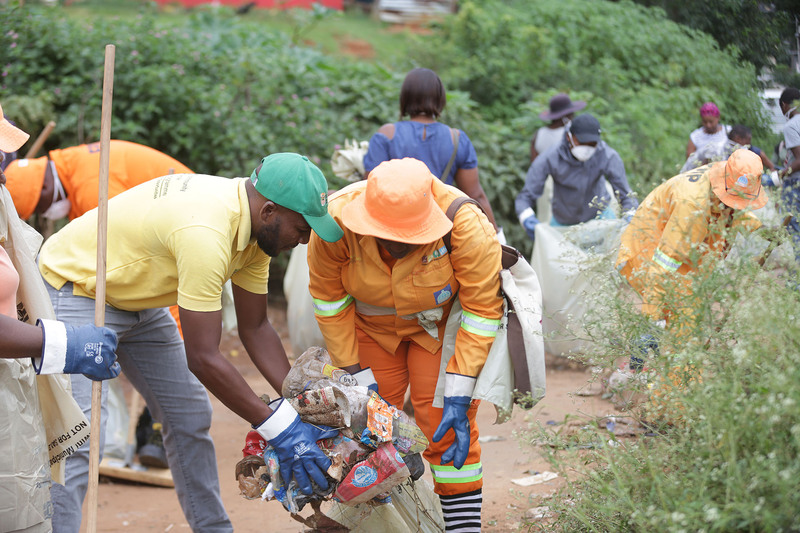 The municipality likewise continues to operate unlicensed refuse dumps and is constantly under threat of closure from the national Department of Environmental Affairs. At Richmond, KZN Cogta’s intervention is due to ongoing dysfunctionality where the municipal leadership and management have collectively failed to ensure political and administrative stability for an extended period of time with various parties resorting to litigation to resolve internal matters. These developments are adversely affecting the operations of the municipality and its service delivery to communities. “There have been allegations of maladministration, fraud and corruption against senior managers at Richmond. Similarly, labour protests, work stoppages and general safety concerns have prevented the Auditor General from completing the audit for the 2017/2018 financial year at Richmond. Political tensions are evident here and impacting negatively on service delivery,” said Dube-Ncube. KZN Cogta’s has voiced its concerns about the financial mismanagement at Richmond which is evidenced by a long litany of unauthorised, irregular, fruitless and wasteful expenditure, unspent conditional grants, flouted public procurement procedures and a lack of internal controls. The department has provided support and guidance to the municipality but these efforts have not yielded the desired results. The interventions at Mtubatuba and Richmond mean that KZN Cogta will be appointing ministerial representatives to prepare and implement recovery plans to ensure the implementation of financial systems, policies and procedures, including preparation and implementation of cost-cutting measures. The administrators will also implement governance systems and procedures, including proper oversight. The KZN Provincial House of Traditional Leaders was officially opened today by His Majesty the King, Goodwill Zwelithini kaBhekuzulu at the Old Legislative Building in Ulundi which houses the institution. 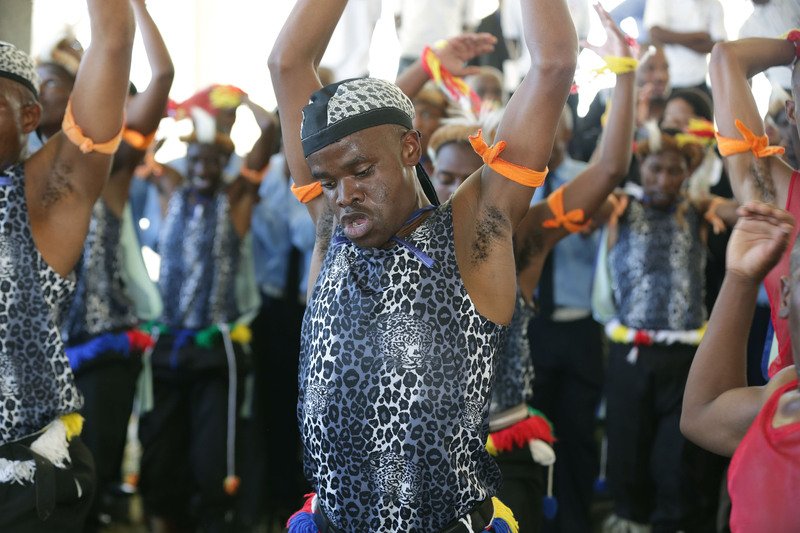 The annual opening is a key moment in the province’s calendar of events when the King addresses amakhosi on pressing issues affecting communities across the province. Today’s opening was a wonderful and colourful occasion with amakhosi adorned in their traditional attire gathered together to hear the King’s wise counsel. 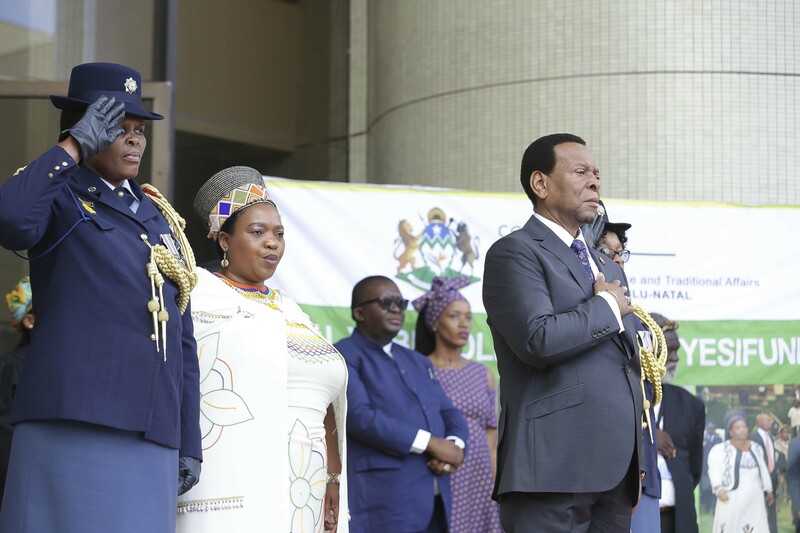 In his address, the Zulu King condemned the barbaric act of sabotage in which Mayville offices of KZN Cogta were torched in the early hours of this morning. In her address, MEC for Cooperative Governance and Traditional Affairs Nomusa Dube-Ncube, who was representing the Premier, thanked His Majesty for the guidance he continues to give to the province. “As the provincial government, we are honoured to have a good relationship with the institution of traditional leadership who are a reliable partner in our government’s efforts to develop our communities,” said Dube-Ncube. KZN Department for Cooperative Governance and Traditional Affairs (Cogta) is offering a R100 000 reward for information leading to the arrest of individuals responsible for the torching of departmental offices in Mayville in the early hours of the morning. The SAPS and Fire Services are still working on the scene of last night’s fire. The building served as office space for Cogta Officials and Traditional Leadership support. “A preliminary assessment of the damages to the park homes that have been burned to the ground is in excess of R17-million. The figure does not include valuable files and critical documents. Such wanton destruction of government property cannot go unpunished. We will see to it that the perpetrators are brought to book,” said KZN MEC for Cogta Nomusa Dube-Ncube. The same offices were previously attacked this Tuesday by protesters with what seemed to be a petrol bomb which caused some damage. This was during a public protest where vehicles travelling on the Jan Smuts Highway and Vusi Mzimele (Bellair) Road intersection were attacked by land invaders who threw stones at passing vehicles and blocked roads. “We condemn this direct sabotage of the state infrastructure in the strongest terms. The destruction of government property will ultimately have dire consequences for innocent residents who rely on government services. We are calling upon the law enforcement agencies to leave no stone unturned in their pursuit of the perpetrators of this dastardly deed,” said Dube-Ncube. The attack on these offices is a serious threat to the safety of staff who work there. Dube-Ncube has called upon the surrounding communities to come forward with any information that can assist the SAPS with the apprehension of suspects in return for the monetary reward of R100 000. 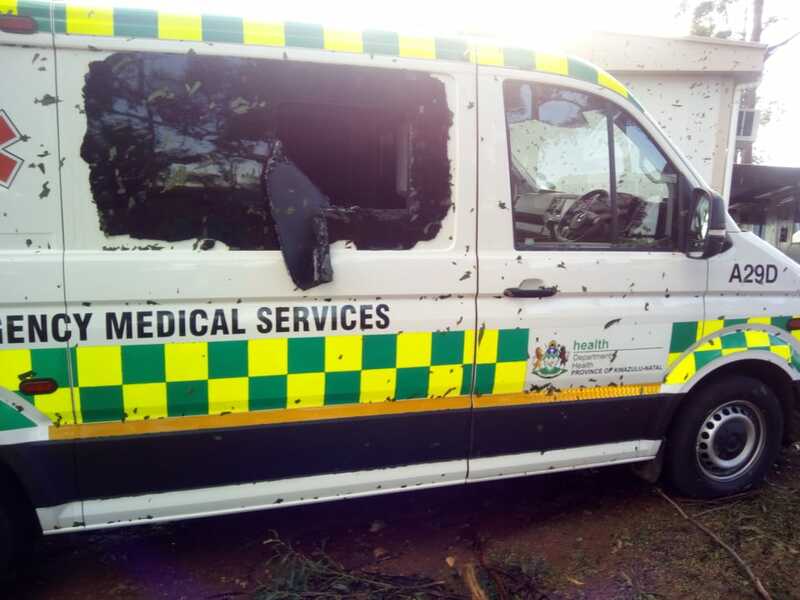 “The perpetrators of this vandalism should be made an example of in order to deter others from destroying state property in future,” said Dube-Ncube. 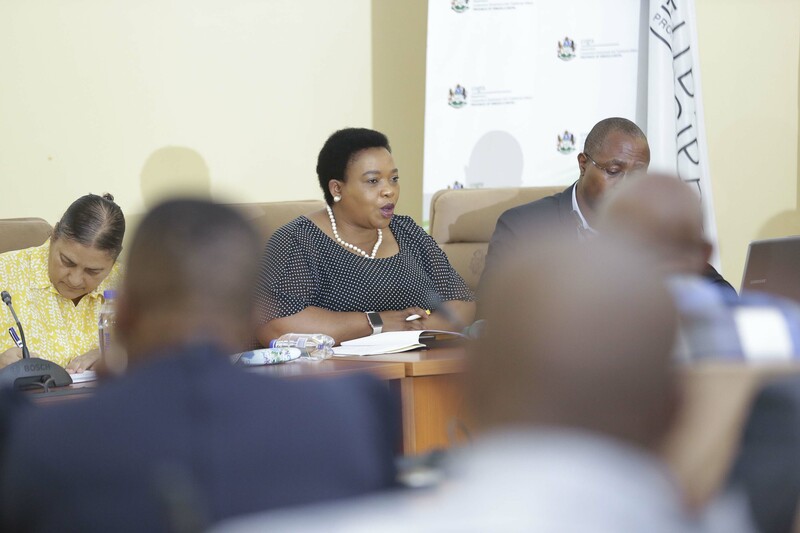 KZN MEC for Cooperative Governance and Traditional Affairs (Cogta) Nomusa Dube-Ncube today announced that the Provincial Executive Council has taken decisive action against widespread allegations of mismanagement and nepotism at Abaqulusi local municipality by placing it under administration in terms of section 139(1)(b) of the Constitution. Today Cogta Head of Department Thando Tubane delivered the message on behalf of MEC Dube-Ncube before the full council. The drastic decision by the Provincial Executive Council has been triggered by perennial service delivery, financial management and governance deficiencies that are threatening to collapse the Abaqulusi municipality. “The deteriorating state of governance and financial management at Abaqulusi has left us with no option but to take over some powers in this municipality until we restore full functionality to its governance and administrative structures. The Abaqulusi Council and administration have to date not been able to rescue the municipality from financial distress, governance and organisational challenges which are negatively impacting on service delivery,” said Dube-Ncube. Chief among the challenges bedeviling Abaqulusi are the revelations that the municipality has an unfunded budget, interferes with recruitment processes and engages in perpetual costly litigations where the financial impact of such litigations has already negatively compromised the financial position of the municipality. The unacceptable use of conditional grants for operational expenses has worsened in Abaqulusi municipality. “We are concerned about the Council ignoring serious allegations of interference in the administrative affairs by political office bearers, as alleged with an intention to influence the recruitment process in favour of relatives. 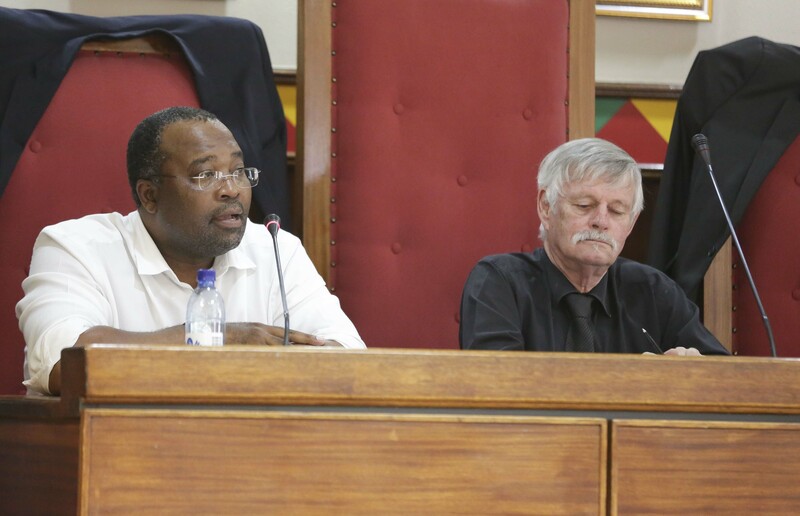 It is also deeply worrying to observe that this municipality has continuously implemented illegal decisions taken at unlawful meetings and the risk of exposure to serious financial and governance obligations as a result thereof,” said Dube-Ncube. Abaqulusi municipality is one of the municipalities that are facing a pending switch-off due to an exorbitant debt they owe to Eskom. As at 14 February 2019, Eskom indicated that the municipality was behind with its payments and owed R48.7-million of which R35.12-million was overdue. “What we see based on evidence before us is a municipality beset with liquidity problems, an unfunded budget, critical vacancies, widespread nepotism and mounting debt to creditors, including Eskom. This indicates an attempt by management to fudge the figures in the budget and the Council’s failure to provide leadership and oversight. All of these failures threaten service delivery to the local communities whom Abaqulusi is meant to serve,” said Dube-Ncube. “The Budget and Treasury Office (BTO) at Abaqulusi is seriously challenged since the municipality re-employed the current CFO despite indications that the CFO had presided over the depletion of the reserves and did not correctly advise the Council on several key factors. The municipality likewise received a qualified audit opinion for the 2017/2018 financial year,” said Dube-Ncube. The leadership of Abaqulusi municipality has, in Cogta’s view, failed dismally in ensuring proper governance and sound financial management of municipal assets and resources. The department has exhausted all other avenues and the intervention in terms of Section 139(1)(b) of the Constitution is now the only option left on the table. “Abaqulusi municipality has to learn that its resources do not exist to sustain a narrow clique of influential councillors, who made a mockery of proper and transparent governance. In recent weeks we were left dumb-founded to witness that the challenges in this municipality have spilled over to the community and are leading to violence and tensions, such as the one in Mondlo community. We have stepped in to ensure that the residents of Abaqulusi come first now and in the future,” said Dube-Ncube. The MEC will soon announce an administrator to turn around the situation in the Abaqulusi Local Municipality. KZN MEC for Cooperative Governance and Traditional Affairs (Cogta), Nomusa Dube-Ncube, has welcomed the 12-year prison sentence without the option of a fine or suspension handed down by the Commercial Crimes Court to the mastermind of the theft of R7.5-million of departmental funds that occurred almost four years ago. The main accused, Mex Dladla, who masterminded the theft also previously implicated two KZN Cogta employees who, according to his version of events, executed the theft by circumventing the department’s public procurement procedures during a monetary transfer to Ingwe local municipality. 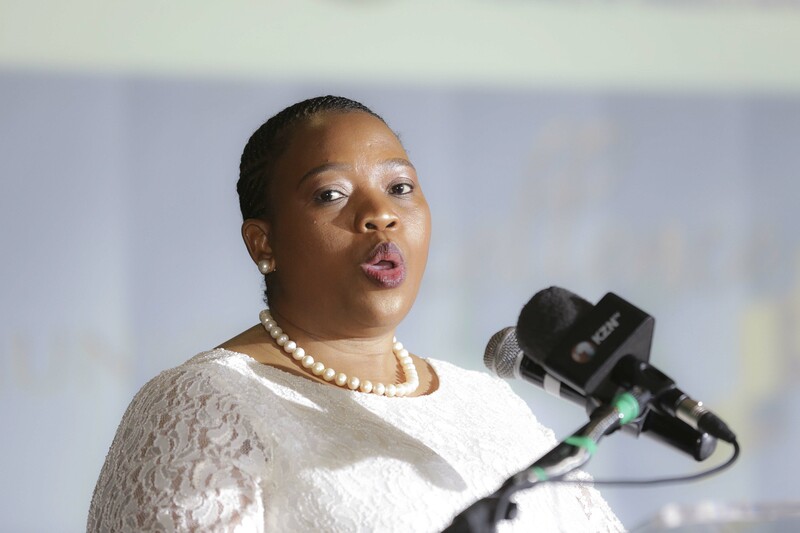 “This harsh prison sentence without the option of a fine or suspension is a welcome development and it should serve as a lesson to all public servants and fraudsters in general who disregard or attempt to disregard the code of conduct that prescribes that they execute their duties with integrity,” said Cogta MEC Nomusa Dube-Ncube. KZN Cogta made headlines in 2015 when one of its employees facilitated the multi-million rand fraud by circumventing the department’s complex system of checks and balances. The department has since tightened the screws and made its payment protocols more impregnable to fraudulent activities. KZN Department of Cooperative Governance and Traditional Affairs (Cogta) has dispatched disaster management teams to various areas across the province where last night’s heavy storms wreaked havoc in local communities over the weekend. More inclement weather is expected in the province during this week. Teams have been dispatched to Nkelabantwana location in Bulwer where strong winds destroyed houses and left many families homeless. Electricity power has been cut-off and those that have were injured have been treated at nearby health facilities. Other areas affected in the province include ward 1 in Abaqulusi (Vryheid), Nongoma Municipality, Ward 22, 2,12,6 and 21. The municipalities of Uphongolo, uMhlabuyalingana and Jozini have also been severely affected. “Our disaster management teams are currently working in these areas and assisting all families that were affected by the latest storms. 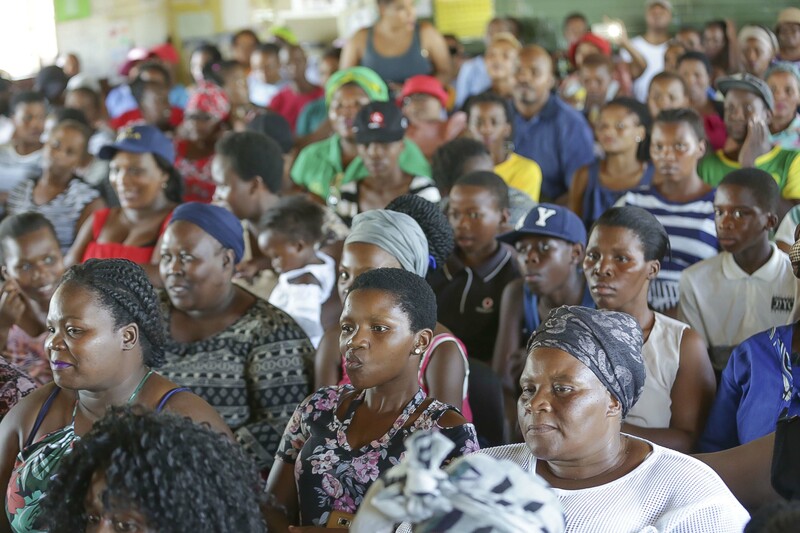 All reported incidents are being attended to as per our protocols and the public can rest assured that assistance will be provided,” said KZN MEC for Cogta Nomusa Dube-Ncube. We indeed have our hands full as we respond to this incident happening across the province. We have set up a Provincial Joint Operations Center at the Provincial Disaster Management Center to coordinate responses on the ground. All our municipalities have been requested to provide additional capacity. Unfortunately the weather bureau is still warning us of more severe thunderstorms for the rest of the week. We ask of all our citizens to remain on full alert and to avoid danger. We know many community members sustaining injuries, houses being damaged and some being blown away entirely. In addition, several electricity poles were toppled, posing danger to the local community. “With the risk of heavy rains and flash flooding, residents are urged to keep clear of low-lying areas that are prone to flooding. This warning is especially addressed to school-going children and their parents and guardians as many past incidents of flash flooding involved school children on their way to or from school,” said Dube-Ncube. KZN Department of Cooperative Governance and Traditional Affairs (Cogta) has welcomed the judgement by the Pietermaritzburg High Court which upheld the decision by the MEC for COGTA Nomusa Dube-Ncube, to decline approving the appointment of the current serving municipal managers in Nkandla and uMthonjaneni Municipalities. Dube-Ncube approached the court following refusal by the two municipalities to heed her advice not to appoint the current incumbents in the positions because they were not fit to hold the positions of being Municipal Managers. Cogta MEC Nomusa Dube-Ncube has hailed the judgement as a victory for good and ethical governance in municipalities. “This judgement once again assist us in our journey to ensure that those who serve at the coalface of service delivery are competent and capable people”. The judgement is also a huge humiliation for the Democratic Alliance (DA), particularly its leader Mr Zwakele Mncwango, who went around peddling lies and deceit about the department not acting on these matters while they were already before the courts. “Today’s court judgement has upheld MEC Dube-Ncube’s view that the two appointments of municipal managers at Nkandla and Mthonjaneni were flawed because of the lack of relevant qualifications of the two candidates. This is a slap in the face of the DA and exposes its leader as someone who articulates serious matters of public interest from the debt of ignorance. We always insisted even at the height of lies that the DA was marketing on this matter with an intention of besmirching the public standing of MEC Nomusa Dube-Ncube, that lies have short legs. Now that the DA fictions and figments of imagination have been exposed by the High Court, the only thing it can do to salvage whatever remains of its reputation is to apologise to the people of KwaZulu-Natal for misleading and deceiving them. It is common cause that the department is still receiving advise on actions we may consider to take following the reputational impact Cogta experience through the lies peddled by it leader. As KZN Cogta we have an obligation to ensure that all appointees in municipalities have the requisite qualifications and work experience. The department has exercised this prerogative without fear or favour and at times it has sought to overturn decisions by municipalities when it felt the appointees to some senior posts were unsuitable. KZN Cogta is vindicated by today’s judgement which has once again proven the importance of an independent review of senior municipal appointments by a provincial government department and which has demonstrated that MEC Dube-Ncube had acted in good faith in the matter of municipal manager appointees at Nkandla and Mthonjaneni. “MEC Dube-Ncube is pleased with the outcome of this court case and she is weighing her options with regards to the DA’s earlier pronouncements which can only be considered as plainly defamatory. It is unfortunate that the DA has a tendency not to let the truth stand in the way of its lies directed at MEC Dube-Ncube,” said Mabaso.